550个等距视图信息数据报表动画包AE模板 Videohive Isometric Infographics Bundle - 〖 AE模板 〗 - AE资源素材社区-专业CG素材与教程分享平台 - Powered by Discuz! 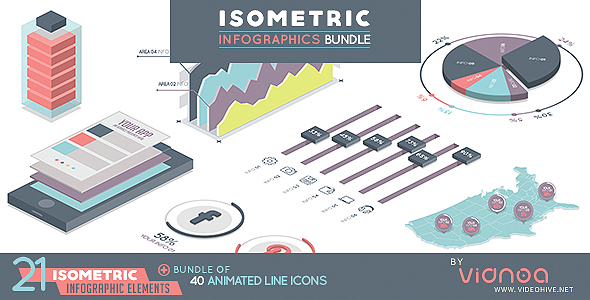 Isometric Infographics Bundle is an aftereffects project witch helps you to make educational ,advertising , promotion videos & etc . With this bundle you can present your informations in clean & practical charts, These charts are simply usable in all of Ae projects. Also you can simply input your information with 550 expression controllers and make your own charts.